The monument to the famous Antonovka stands in the center of Kursk on Lenin Street. 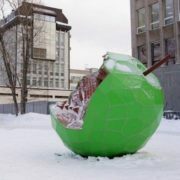 It is this sort of apples that symbolizes the city of Kursk. 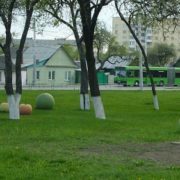 The author of the monument is the famous sculptor Vyacheslav Klykov. Among his notable works are the monuments to Cyril and Methodius, Marshal Zhukov in Moscow, Pushkin in Tiraspol and Arzamas, and Andrei Rublev in Radonezh. 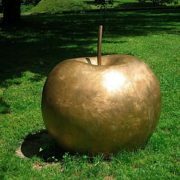 The height of this copper apple is 2 meters, and the weight is about 150 kilograms. 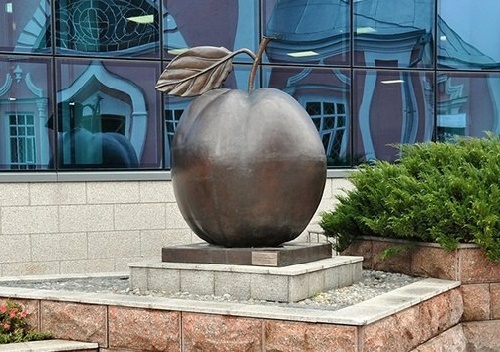 Meanwhile, apple monument symbolizes the achievement of a specific goal, and the completion of the process. 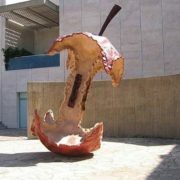 In addition, it means the acquisition of a previously unknown meaning of life, as well as the result of certain actions. 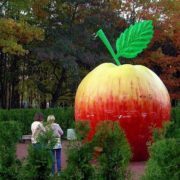 Noteworthy, the native land of apples is the territory occupied by the present Kazakhstan. 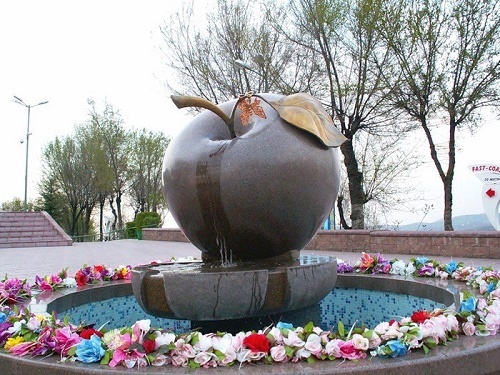 No wonder its capital for many years was Alma-Ata (Almaty), which means “the father of apples”. 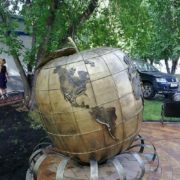 In Almaty there is even a monument to an apple. Made of marble monument stands on the mountain Kok-Tube. By the way, in the world there are more than 7,000 sorts of apples, and each year their quantity increases, as breeders work continuously, growing out more and more varieties. 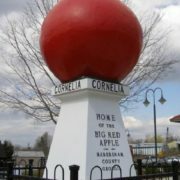 However, for sale only a little more than a hundred varieties of apples are grown. The rest sorts people use for decorative and technical purposes. Besides, the number of seeds in an apple depends on its sort. 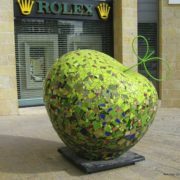 Interestingly, similar monuments, as a tribute to apples, decorate squares and streets worldwide. 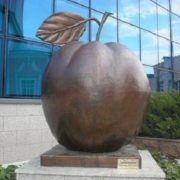 And here is the gallery of most known Apple monuments.